The Spa Sensations Memory Foam Comfort Mattress Line offers customized, relaxing support for a better night's sleep. The top layer of Theratouch memory foam provides conforming comfort and significantly reduces pressure points. The base layer of high-density support foam provides the perfect amount of support. 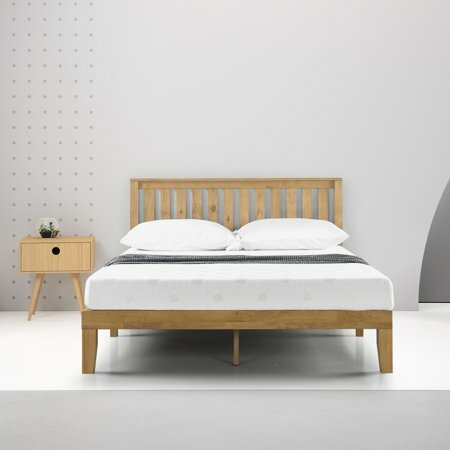 The foam in this mattress is CertiPUR-US certified and backed by our 10-year worry free warranty. Infused with green tea, charcoal and natural plant oil, Spa Sensations Memory Foam Comfort Mattresses are odor-resistant and all you need for a great night's sleep. Our patented compression technology allows our mattresses to be compressed, rolled and shipped in a box conveniently to your door; please open your mattress within 72 hours of receipt and allow 48 hours for your new mattress to return to its original, plush shape. Available in Twin, Full, Queen, and King. This product is great. I purchased it for a daybed for a home office room. It is a little bit wider than the frame I already had, only by an inch. Other than that this product is very comfortable. I do not have a box spring under the mattress and it works great. My purchase was satisfactory from initial search on the web thru purchase online and tracking/delivery of the mattress. The mattress is exactly what I had anticipated. I appreciate the pricing and quick delivery VERY much. I will purchase through Jet again. Nice memory form mattress overall. Got this mattress for my 1st grader. The comfort level of this 6 inch memory form mattress seems to do its job by providing the right comfort level, and thickness of the mattress is ideal. It's very soft and the memory form slightly contours to her body shape and seems to be in comfort in every position. However, it this was for an adult, then I'd find this mattress to be too thin and therefore may not hold up at its current condition for long term. I received this product at a discounted price in return for my unbiased review. I like that the mattress was soft and comfortable however it did not rise up to the measurement it said it would. This mattress is soft, and appears well-made but it's really thin. It's not 6" as advertised. After unwrapping the mattress and letting it lay flat for five hours it still wasn't six inches deep. Still smells after two weeks or so, one side completely puffed up so it doesn't fit in my bed frame. Hart as a brick!!! I can't sleep on this hart surface. Need to invest in mattress topper now. On a scale from 1-10 this is a 2 or 3 when it comes to firmness with 1 being rock hart. Wish I would have know. Mattress was only 4.9" when it says 6". Not as comfortable as I was expecting. We would like to look into the decompression issue. Please contact us at customerservice@zinusinc.com or call us at 800-613-1225. Buying this mattress was a bad idea. It only expanded to like 4 inches not 6. In some places it didnt even expand.